A fully grown panda is far too formidable a foe for most predators, but some animals can prey on cubs. Potential predators include jackals, snow leopards and yellow-throated martens, all of which are capable of killing and eating panda cubs. Indeed, the 2008 animated blockbuster Kung Fu Panda tells the story of Po, a panda who is an apprentice noodle-maker and kung-fu fanatic, and whose greatest enemy is Tai Lung: a fierce kung-fu fighting snow leopard. 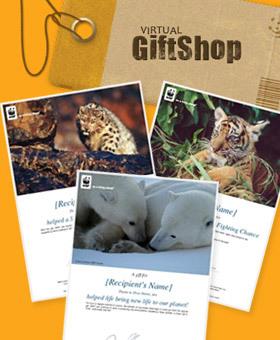 In real life, snow leopards, which are also endangered, share some of the same habitats as the black and white bears and pose a threat to young pandas. Giant pandas are solitary and peaceful animals, which will usually avoid confrontation, but if escape is impossible, they will certainly fight back. And as cuddly as they may look, pandas can protect themselves as well as most other bears by using their physical strength, and powerful jaws and teeth. And while their large molar teeth and strong jaw muscles are designed for crushing bamboo, they can deliver a very nasty bite. 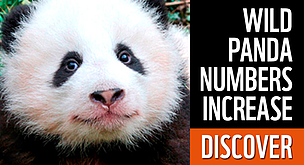 In addition, giant panda are excellent climbers, with cubs able to clamber up trees when they are just 6 months old. They can also swim and, unlike most other bears, do not hibernate for months at time during winter. With all these attributes in their arsenal, fully grown giant pandas can defend themselves against most predators. 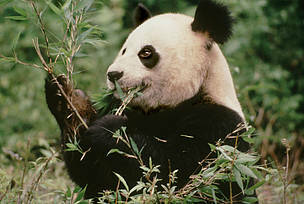 Pandas mainly use their strong jaws and teeth for eating bamboo, but they will bite if confronted. So why are pandas so endangered? The biggest threats to pandas are not their age-old enemies in the wild, but every day human actions. Predators might take the odd cub but humans are the greatest threat to pandas. In particular, pandas are threatened by habitat loss and fragmentation, and by people hunting other animals and harvesting plants in the forests. The good news is that humans are also the greatest hope for pandas because we can do something about it. No matter where you live, if we all treat our planet better, we can guarantee a brighter future for the giant pandas, the bamboo forests they depend on, and even for ourselves.